The Iberian Peninsula is home to both Spain and Portugal. While Spaniards have a distinctive style, the country of Spain has a diverse assortment of regions that each have their own character. The geography ranges from sunny coasts and lush hills to high mountains and arid plains. Some of the most popular destinations for school groups are Madrid, Barcelona and Andalusia. The capital, Madrid, is Spain's largest city, which is centrally located on a high plain near the base of the Guadarrama mountains. 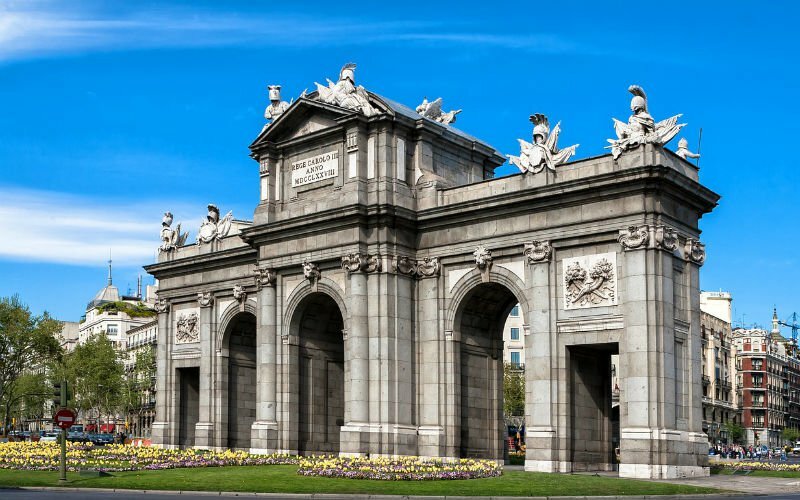 Madrid has a wealth of respected museums, most notably the Prado Museum, and many impressive venues like the Royal Palace of Madrid, the Almudena Cathedral and Retiro Park. Barcelona is the capital of Catalonia, a region to the far northeast of Spain. Barcelona is located on the Mediterranean coast and boasts its own unique style. Particularly noteworthy is the work of architect Antoni Gaudí, who famous creations include Park Güell and Sagrada Família church. Andalusia is not a city, but rather the southernmost region of Spain, which contains multiple places that should be visited. Seville is the regional capital, and its highlights include the Seville Cathedral, Giralda Tower, Royal Alcáza and Plaza De España. The city of Granada is famous for the nearby Alhambra palace and fortress complex. Cordoba has the Mezquita, once a great mosque and now a Catholic cathedral.